We are always looking for new guest writers to contribute your content and idea to Melbourne Roller Blinds. So if you think you have something unique to share and interested in contributing to the community, let us know! We are looking for unique and fresh content that is not submitted elsewhere on the web. To write for Melbourne Roller Blinds each article must meet a few minimum requirements besides that we are pretty flexible. Articles must be 750+ words. Your tutorial must be your original work and not published elsewhere. You will need to format your tutorial as per the format described below. Images used must be less than 610px wide. Images that are Creative Commons must include attribution. As a reward for the effort of putting together a guest post, you will receive exposure on Melbourne Roller Blinds. 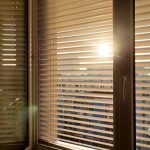 Each post written for Melbourne Roller Blinds will include a brief bio about you along with a link back to your website and your twitter account. These links are do-follow.